@Pachirisu, I'm pretty confident that the people on this app have more intelligence than an anti-vaxxer. Just don't share it with ifunny that could be bad. @OfficialNyarlathotep, I wouldn't be so sure someone's downvoting these antivax memes. If you drugged a child up. Started cutting on them. Then removed an organ. You would be sent to jail. Then why is it legal for doctors to do it and why would you let them? @Seohn, this is how you know an argument is bad. When you apply it to something similar and it sounds stupid. 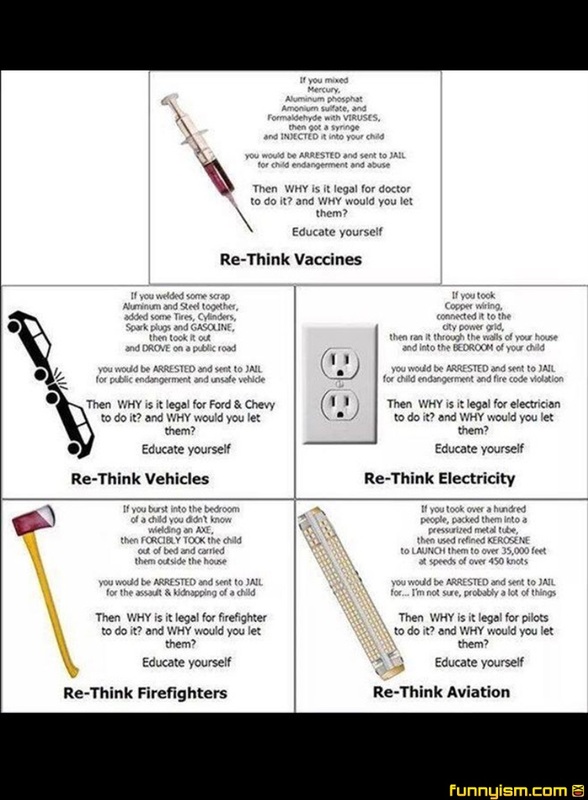 Funny enough, I’m currently writing a literature review on the safety and efficacy of vaccines, and I have ensured to cover the vaccination-autism “correlation.” Nothing grinds my gears more than parents who choose to educate themselves using social media platforms and put their kids’ lives in danger. But it is not illegal to build and drive your own vehicle you just have to register it and have it inspected. I actually plan on doing just that as soon as I'm not poor.